Being in the concrete business, I've poured many concrete slabs for dog kennels. Whether you have one dog or more, you know they dig their way through just about anything. But a dog isn't going to cause damage to concrete if it's the right mix design. Concrete can be made a lot of different ways, from bag mixes like Quikrete to ready-mixed concrete from a concrete supplier, if you're not in the business it could be confusing to know what to use. Below, I'll tell you what I've been using successfully for years. This is how I build a concrete slab for a dog kennel. 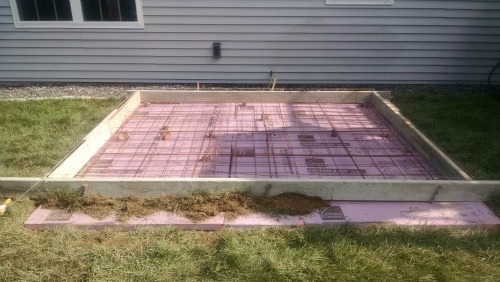 Below is a picture of a small dog kennel slab that's ready for concrete. We dug out the grass and loam, installed the gravel, styrofoam, forms, and wire mesh. We put small brick pieces under the wire to hold it up in the middle of the slab. Whether your kennel slab is larger or smaller than this one, you can follow the same design. I prefer ready-mixed concrete from a concrete supplier. I could be a little biased because I am in the concrete business. But I just like the fact that the concrete comes all mixed and ready to pour. All you have to worry about is placing and finishing it. 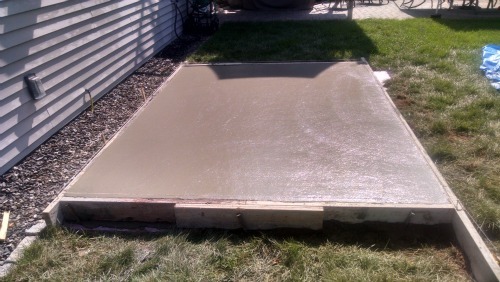 It took 1.5 yards of concrete for the dog kennel slab below (10' x 10'). That would be 57 80lb bags of Quikrete to mix if you used bags. Maybe a slab 1/2 that size would be worth using bags but not this size. 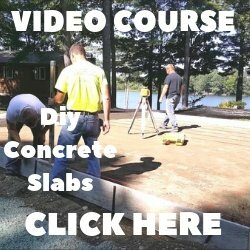 Some concrete companies will charge you a small load charge if the total yardage is under 5 yards of concrete. So if you need less than 5 yards of concrete, you'll have to decide if it's worth paying the extra or handling & mixing all the bags of concrete. If you do decide to use bags, I would use the either Quikrete's 5000 psi mix or Sakrete's High strength mix. Both would give you at least a 4000 psi mix. First of, like I said above, I would finish the surface somewhat smooth like in the picture above. Then, after you seal it, the concrete will be a lot easier to clean when you hose it off. I like RadonSeal's sealer. I use it all the time. Their concrete sealer will penetrate into the concrete and block all the pores. This will keep the dog urine and feces from getting into the concrete and growing bacteria. Their sealer doesn't form a plastic film on the surface like a lot of other sealers. This keeps the slab from being slippery when it does get wet. It's easy to apply, just pour some in a garden type pump up sprayer and spray on 2 light coats. 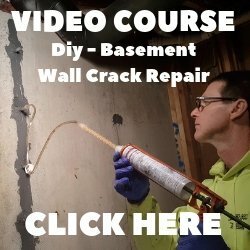 This will completely seal and waterproof the concrete. Use this 1 gallon pump up sprayer to apply the sealer for small kennel slabs. For sealing larger kennel floors you can use this 2 gallon pump up sprayer. Once your done spraying on the 2 coats of sealer, just rinse the sprayer out with water to clean it and you can use it around the house for spraying other things. I know that prices concrete contractors charge are going to be different depending on where you live. But just to give you an idea of the cost for a slab like the one above, I'll tell you what I charged this customer.